One of the 157 people killed in an Ethiopian plane crash on Sunday has been identified as a Chicago-area native. NBC 5’s Chris Hush reports. One of the 157 people killed in an Ethiopian plane crash on Sunday has been identified as a Chicago-area native. Antoine Lewis, of south suburban Matteson, was a passenger on the Ethiopian Airlines jetliner when it crashed shortly after takeoff outside Addis Ababa, according to Lewis' family. "There’s nothing else I can do. I’ve screamed to the heavens to ask why but I already know the answer," said his mother Antoinette Lewis. Lewis had a career in the military, his father said, and had studied at Chicago State University. He was married and had a 15-year-old son, according to his family, who said he was on vacation at the time of the crash. One of the 157 people killed in an Ethiopian plane crash on Sunday has been identified as a Chicago-area native. Lisa Chavarria reports. "Captain Lewis was an outstanding person who engaged himself with many positive facets of the Matteson community," Matteson Mayor Sheila Chalmers-Currin said in a statement, adding that she had known the Lewis family for more than 20 years and identifying Lewis as a captain in the U.S. Army. "Antoine’s death has been devastating to our residents, the village administration and moreover, his family," Chalmers-Currin's statement continued. "Captain Lewis was raised by a patriotic family that has always shared a genuine concern for their neighbors, friends and fellow man," she said, adding, "The Village of Matteson will continue to keep the Lewis family in our hearts and prayers." Lewis was one of 157 people from 35 countries who died in the crash, all killed just minutes into the flight from Ethiopia's capitol to Nairobi, Kenya. Lewis had traveled to Africa to bring help to the area, according to his sister, who said he was building businesses and had planned on buying land. "He was supposed to call us after he touched down," said his father Rodney Lewis. Airlines in several countries, including Ethiopia, China, Brazil, Argentina and Indonesia, have temporarily grounded all Boeing 737 Max 8 planes, the jetliner that crashed Sunday. A flight of the same Boeing model crashed in Indonesian seas last year, killing 189 people. The Federal Aviation Administration has given no indication that the agency would ground the Boeing passenger jets in the U.S., with Secretary of Transportation Elaine Chao saying that the department was "very concerned" and monitoring developments related to Sunday's crash. 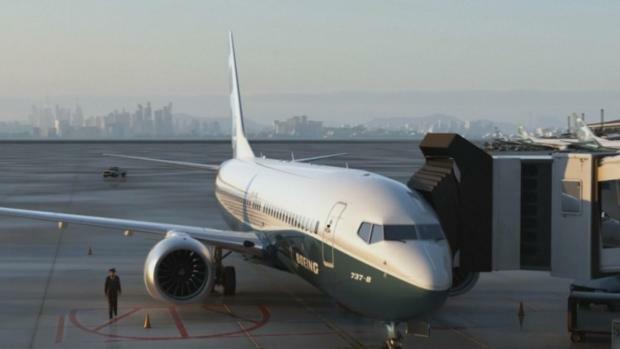 Still, the crash has renewed questions about the 737 Max 8, the newest version of Boeing's popular single-aisle airliner, which was first introduced in 1967 and has become the world's most common passenger jet. Safety experts cautioned against drawing too many comparisons between the two crashes until more is known about the disaster. Chicago-based Boeing said it did not intend to issue any new guidance to its customers. It announced plans to send a technical team to the crash site to help Ethiopian and U.S. investigators, however, and issued a statement saying it was "deeply saddened to learn of the passing of the passengers and crew." The plane's flight data and cockpit voice recorders were found in the field where it went down, Ethiopian Airlines said Monday. An airline official, however, said one of the recorders was partially damaged and "we will see what we can retrieve from it." "I'm full with the love that he left," said Lewis' mother. "His legacy is love."